Dynasty Blog: Save the Date: Tracy Moreau at Jerry's Artist Outlet! Save the Date: Tracy Moreau at Jerry's Artist Outlet! Happy June, painters! 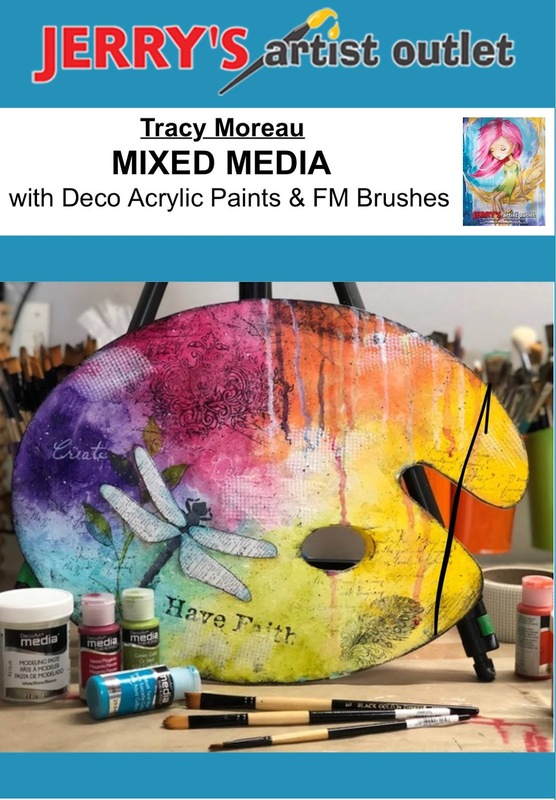 We are so excited to announce that Dynasty Artist Tracy Moreau of Tracy Moreau Designs will be doing another in-store demonstration for us this month! You may remember that last fall Tracy came out to Artist and Craftsman Supply Park Slope and to Jerry's Artist Outlet to meet artists, store staff, and to show everyone what a great addition Dynasty is to an artist's studio. This time, Tracy will appear all day--demonstrating DecoArt Media Fluid Acrylics and Dynasty brushes in the morning and working with DecoArt Americana Decor line of chalky finish paints in the afternoon. Sounds like a fun way to spend a Saturday! Interested in attending? Let us know over on our Facebook page for the event! Want to learn more about what Jerry's has to offer? Check out our retailer spotlight post about Jerry's here. And as always, if you are trying to decide what Dynasty brush is right for you be sure to head over to our website!